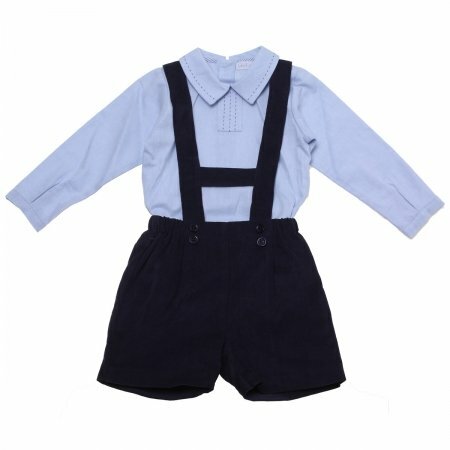 Baby boys blue bodysuit shirt with navy H braces shorts outfit. Made in Portugal by BabyLai. The shorts are in fine pin corduroy material.